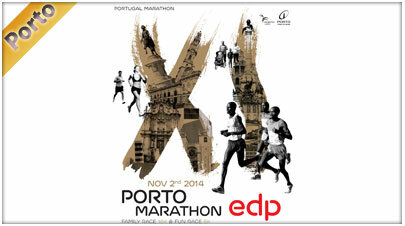 The Marathon of Porto with its twelve years of history and with its previous experience starts for the 16th. edition. November 3rd, 2019. The organization committee wishes to confirm the good performance at the organizational level offering to participants an excellent service of organization. Many world class athletes take part in the event. The city of Oporto is also known as the (Cidade Invicta). It is the city that gave its name in Portugal - an early (about 200 BC), when she was appointed principal of Portus Cale, later becoming the capital of the County (Condado Portucalense). Oporto is also a city known worldwide for its wine, its bridges and its modern and ancient architecture, its historic center, declared World Heritage by UNESCO. How to enter the race. 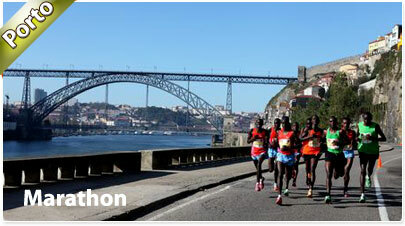 Porto Marathon also offers a 15km pace and an open (fun race) 6km) . 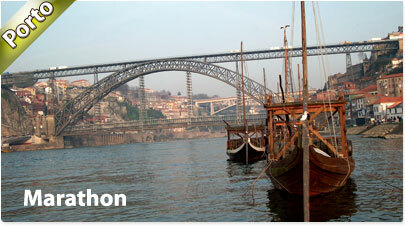 Registration to the Porto Marathon. You will receive with the package, T-shirt, bib and other useful info. How to reach the Expo? 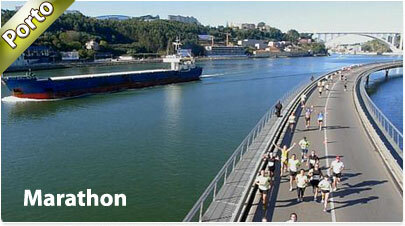 The Marathon Expo will be located at the Convention Centre Customs Port. Space totally dedicated to Running. Following the rules of the international federation I.A.A.F. water points will be split every 5Kms and each 5 Kms as well as sponges and solid supplies during all the race. . The event of Porto Marathon offers also to all who do not feel quite ready to face the queen distance of 42.195Km, the opportunity to participate through two other races, one of 16km family race and a 6km called Mini Marathon or fun race which is actually an open race, unranked. Come and join us !